Over a dozen ways to get rid of warts naturally with home remedies – even warts on the face! I noticed hot pink duct tape covering the fingertips of a little girl recently, and it turned out it was a home remedy for warts. I’m sure the preschoooler (and her mom) were thankful for the new fashion line of duct tape (so cute! ), and really, the duct tape thing is a great way to get rid of warts, for some people. But what about warts on the face? I don’t know about you, but I don’t want to put up with duct tape on my face for many weeks, up to a year, even if it is leopard print. It just so happens that somehow, the good Lord decided that every time I make a baby, I make warts too. Apparently it’s sort of normal, in that abnormal-feeling weird sort of way, because pregnancy depresses your immune system a bit, and warts, being a virus, see that as an open door. I have a vivid memory of nursing my oldest while getting my first wart burned off my foot, and my second was in utero when I evicted a virtual condo association of plantar warts off my heel. It was at that appointment that the dermatologist explained the immune system thing. Pregnancy brain prevented me from remembering the connection when I was in Baby #3’s first trimester in January 2011. There was clearly something growing on my chin, and after a week or two, I realized it was not simply the most indestructible zit ever created. It was growing, and changing. Of course, my female (read: paranoid) mind went straight to skin cancer. Scenarios of rejecting chemo therapy to protect my unborn child ran rampant in my thoughts. Eventually I could separate each finger-like projection, about a dozen of them. I tried to pull it off. I might get little parts (it would bleed, ow! )…but it always came back as big as before. I was simultaneously grossed out by the “thing” on my face and freaked out about what it might be until I finally went to the dermatologist. In one second she glanced at my chin and said, “It’s a wart,” and started preparing to freeze it off. I wasn’t as freaked out anymore…but still pretty grossed out that I had a wart on my face! Luckily the cryotherapy worked to get rid of my warts every time with one shot, although statistically, I’m a lucky one. For many, warts grow back after being frozen/burned off. Time to Find a New Way to Get Rid of a Wart – at Home! With every year that passes, I seem to take more steps into living naturally, so when a new indestructible zit appeared just after pregnancy #4 – in the same spot as 2011’s wart – I knew exactly what it was. And I wasn’t about to go to the dermatologist again, at least not right away. It was time to try some warts home remedies. I’m excited to share them with you as part of the Safer in September series. At first, I just cautiously watched it. Grow. Fast! Then at night, when I’d remember, I stuck some Redmond Clay on it because that’s become my first response for any skin issue. I allowed it to dry overnight and picked it off in the morning. I felt like this strategy was keeping the wart from taking over my face, but I certainly wasn’t really gaining any ground. My naturopath explained that a wart surrounds the virus with a protein coating, rendering it invisible to the immune system, which is why our own immune system can’t fight it. Weakening that protein using essential oils was her line of attack to get rid of a wart, with the goal of allowing my immune system to get at the wart and do its job properly. I applied undiluted tea tree, clove, or Frankincense essential oils when I thought it of it (it was supposed to be 2x/day). Edit: If I were to do it over again, I would dilute with a carrier oil, but I had been in the care of a trained naturopath – so don’t take my word for it. Essential oils are too powerful to just use without much knowledge…in fact, here’s my post on the potential dangers of EOs. UPDATE: Plant Therapy now sells a pre-diluted roll-on bottle of a Kid-Safe wart removal synergy! It doesn’t get easier than that, and I love love love that Plant Therapy offers so many Kid-Safe oils. Hooray! I was cautiously pleased at this point. Rather than getting bigger, the wart on my face was either staying the same size, or sometimes a piece would come off with the clay and it would be beaten back – but it always grew again. Yes, I hoped everyone just thought it was a zit, and believe me – with a wart on my face and mixing up home remedies and natural health concoctions, I was starting to feel a little more like a witch than I’d like to admit! It was not until I started using propolis regularly in conjunction with the clay that I really started winning the battle instead of just holding my ground. arthritis, acne, asthma, bleeding gums, the common cold, rashes, diarrhea, eczema, flu symptoms, hay fever, hair loss, joint stiffness, any type of inflammation, sore throats, stress, toothaches, ulcers and warts. The amazing thing about propolis is that it has so many healing properties. It is an anti-fungus, anti-inflammatory, antiseptic and antibiotic. 2. Propolis is used in drops, not teaspoons, so it’s awesomely inexpensive. My 2-ounce bottle is still half full, and I’ve used it internally and externally for all sorts of things. When I decided to really get rid of the wart once and for all, I focused on using propolis at least once a day. I would just put it on when I took my other supplements for the day. I use propolis in conjunction with the bentonite clay on the facial wart overnight, and it really seemed as though the wart, which I now knew was called a filiform or digitate wart, was getting smaller. I’ll admit – I’m a picker. I picked at the wart absent-mindedly – and with a vengeance and a purpose! – during the day. 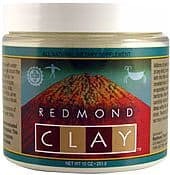 I was happy that the Redmond Clay would peel off bits of the wart when I peeled it off, dry. Then one day, when I took off the clay, the whole thing came off. I was excited, but skeptical. I knew from experience that it would probably keep growing back the next day, so I kept up the propolis and clay a few more days. It was like a miracle the day I realized it was gone, that my skin was flat and clear. I assumed it would come back, but it’s been a few months, and I haven’t heard a peep from it. Does the Wart Home Remedy Work for Everyone? No one can say that a remedy of any kind works for every body, right, because we’re such diverse and complex organisms, but we had the opportunity to test the propolis again, this time by itself. We found a little wart on my 4-year-old’s forehead and applied a drop once or twice a day as we remembered. Again, I felt for the first few weeks as though we are gaining ground but not yet winning. Sometimes I could hardly find the thing, it was so small, so I had a lot of confidence that we’d beat it – and we did! Eventually it disappeared (although like mine, it came back in the same place a few years later). At her well checkup, I was very pleased that the doctor said it was “dead” and we could file it down and try to get it to fall off. The doc also confirmed that warts are notoriously hard to get rid of and that even a dermatologist might not be able to get it in one try. We used a nail file from time to time and continued a very scattered regimen of clay, mostly, when we thought of it. It literally fell right off, I guess, somewhere. This thing was about 2mm x 2mm and at least a mm tall as well. And now it’s gone! I love it when a natural living plan comes together (and when I don’t have to subject my sensitive little girl to a dermatologist freezing her wart off, which probably would have traumatized her for all doctor’s visits for the next five years. Ironically, the tiniest of little warts on her forehead came back in the same spot, just like mine. A couple years later my son had a large wart on his little toe and we tackled his with Plant Therapy’s Kid-safe roll-on. Although it took about 3 months of (almost) nightly applications of the roll-on, it eventually fell off and didn’t come back! Had we been more consistent or used the remedy twice a day, I think it would have been quicker. Bees collect resins from the buds of various botanicals. These include poplars, pine and birches. The honeybees chew on the resin, adding their saliva to the substance. This combination is called propolis, and is vitally important to bee survival. It is fundamental in building their hives, protects them against disease, and strengthens the hive walls to shield the honeybees from harsh weather. Bee propolis contains many flavonoids, which have healing and antibiotic effects. Propolis is a rich source of flavonoids, minerals, vitamins C, E, provitamin A, and B-complex. There is also a selection of amino acids, fats, trace minerals and bioflavonoids. In the congested beehive, propolis and royal jelly employ their antibiotic, antimicrobial, and antibacterial properties to inhibit undesirable bacteria and promote helpful bacteria. You can buy propolis from Trilight Health or on Amazon here or here. Apply an essential oil like tea tree, clove, or Frankincense two times a day to begin to weaken the protein around the wart or use this pre-diluted roll-on bottle of a Kid-Safe blend. Smear a bit of hydrated bentonite clay on the wart before going to bed; allow to dry overnight. Peel off in the morning. 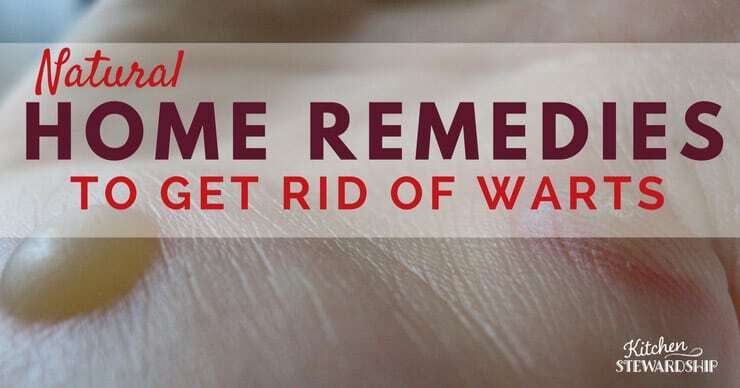 What I love about this home remedy for warts is that it’s such an easy application, and painless, and natural – and fairly inexpensive, especially since you can use every component of the regimen for numerous other purposes, not just warts. Plus, I don’t have to wear duct tape on my face. I was pretty excited to find a real, effective, natural way to get rid of warts that didn’t cause undue embarrassment in public. Have you ever gotten rid of warts naturally? Related from colleagues: Read how to remove a mole naturally with apple cider vinegar, plus this mom’s FREE and all natural remedy to curing plantar warts. Duct tape worked for us. My daughter got six plantar warts the two years she was in gymnastics. The coach kept a roll of duct tape in the dressing room because of the outbreaks they’d get. This was long ago, before I knew anything about immune systems or natural remedies. I just knew I couldn’t afford the cryogenic process over and over! These threads have been a good source of information. Its good to see there are so many options for natural and homemade recipes. Thanks. I tried the essential oils mentioned on this site and a few others, and they worked very well. I discovered premixed oils, wart-thwart.com, so you don’t have to buy all the oils individually and mix yourself, which was a bit expensive. My daughter is 8 and her hand warts completely went away in about 10 days. Hope this helps. Thanks to this website I was able to treat my 3 year old daughters warts on her fingers. It started off with one big wart on her right thumb then within 6 months it spread aggressively to her other 3 fingers on her right hand and also on 3 fingers on her left hand. I took her to multiple dermatologist and waisted so much money with no success. I finally decided to give the apple cider vinegar a chance. I dipped small cotton balls in the vinegar and put it directly on her warts, trying not to get on her healthy skin, then I covered it with adhesive bandaid from target. I applied it to all her warts individually for almost 2 months and at the end of the 2nd month all her warts discolored and peeled right off! Really was a miracle. And, I’m so thankful they are gone!! Thanks again! You can remove the wart by grating it without the use of the surgical equipment. First, you need to inflame it by exposing it to raw garlic for about 10 minutes, avoiding the surrounding skin. Garlic can cause upto a second degree burn to the skin, so you need to make sure that only the wart touches the garlic. Once the wart is inflamed, it will form a blister all over it, which will later dry up and turn into a scab. You can peel off the scab before it falls off on its own. The unhealed area under the scab will form another scab, which you can reinflame even further by applying either garlic or shea butter to it, and then let it dry and form another scab. As you will be peeeling off the scabs, one after another, you will notice how your wart will be getting smaller and smaller. Thus, you can control this wart removal process, and stop peeling off scabs before the wart reaches the skin level. This will prevent the formation of a scar on the skin under the wart. This effective wart removal process can only take upto a week or 2 weeks at most. I’ve tried it myself, and I can testify that it works and produces the desirable outcome. We got rid of a wart on my sons hand with “Milk Weed”!! My friend did it first after trying many different home remedies. We scraped a layer or two f skin off first each day and than applied the milk weed which we have an abundance of here in Michigan. I think it took a week. Originally we tried “Colloidal Silver” b/c thats how we got rid of the planters warts on my friends foot. but that didnt work for him. Each person is different along with different types of warts. Thanks for reading! This was what worked for me, too. I’m not sure what I used was technically “Milk Weed,” (I used the white sap of a tall, spindly dandelion-type weed growing in my yard), but applied once or twice a day worked after a few weeks. I should add that this didn’t work on a later wart, or for my nieces or daughters (I think our supply of weeds died out too soon), so I am very thankful to see this post, as we are having a serious outbreak here this year. Sounds to me like wild lettuce. The leaves are shaped like the leaves of dandelion. They grow rather tall, are slightly prickly, and have a milky sap. My dd had one on her hand and we used apple cider vinegar on a small bit of cotton and held it in place with a band aid and I tried to have her keep it on overnight. I even got lazy and forgot to keep applying every night, but it has now completely healed. I also used apple cider vinegar for a blemish on my upper lip. Now that I think about it, it must have been a small wart! I would be good about putting it on and then forget for a couple days, but its just about gone now. This blog post and comments are a life saviour. I have/had a filaform wart on my chin for years. I didn’t know what to do for a long time. I finally went to a skin specialist about 9 years who used the freezing method with liquid nitrogen to remove it. Over the past few years, a bump has returned, and growing bigger slowly. A couple of months ago, the wart seemed to have returned and it had significantly affected my self-confidence. Found this post 4 days ago, and immediately went to buy some ACV to try this home treatment. I put a small cotton pad dipped in ACV, and held it in place with a bandaid overnight. Last night, the wart finally seemed to have flattened, so I used khiel’s midnight recovery to help it heal and scab faster. Walked around today with a huge black scab which wasn’t nice. The scab has just come off. What I see now is a mostly flat surface, but skin feels a bit raw. I’m going to keep up the treatment for another night just to be sure. I just wished I found these posts earlier. Thank you for all your sharing and encouragement! I hope this treatment will last and that the next recurrence will be a long time away, hopefully never. Oh, so nice to hear these wart healing stories. I’ve had several stubborn ones on my face and all natural treatments I tried so far were taking too long so I gave up. I don’t know if ACV will work on old warts (5-10 year old) but seems worth a try! Do you use just a supermarket kind or some raw, unpasteurized kind. Here in Holland we can’t buy anything unpasteurized…But I can at least buy an organic one. Propolis also might be agood idea, although it looks brown when on the skin so you need a bandaid to go out. I tried fig leaf juice, castor oil, tea tree oil, baking soda. main problem each time was the “skin melting”which sometimes turns into strong burning sensation and sometimes bleeding. Then I had to stop and just live with them…OK, will try ACV! Thank much!!! I am anxious to try this method. Is it safe while breastfeeding? I’m still nursing my 2 year old a few times a day. Can I use any bentonite clay? I think I have Aztec Secret. Apple Cider Vinegar worked for us. My girls had them on their feet. At night we would put on the ACV and a band aid, it took a few weeks, but worked! This question is completely unrelated to this post. If I make chicken bone stock in my crockpot, can I reuse the bones again, or are they done after one 24 hour run in the crockpot? I boil the bones, skin and everything else that is not meat for my stock and then I strain it and do it again. I usually combine the two broths to concentrate them. you can reuse with less water, at least simmer a bit to fully rinse the broth off and you will get broth that is a bit thinner, but worth it for cooking or just mix in. Our whole family has also been plagued with warts. I have tried a lot of methods. The most economical and fastest way was apple cider vinegar. Cut a piece of cotton ball to the size of the wart, soak it in apple cider vinegar, tape on with medical tape making sure the cotton stays in contact with the wart, wear it all night as you sleep, then take it off during the day. My kids are now wart-free. My father-in-law had about 30 warts on his hand, had them burnt off about a dozen times, but after using this method, he too is wart-free. Do you file the warts down before putting on the ACV at night or do they just scab up and fall off on their own? Apple Cider Vinegar and lysine supplements! I’ve had 2 plantar warts on my foot for about a decade now. When I first discovered them, in High School, I went to the podiatrist and had them excised. It was one of the most painful experiences of my life (not enough anesthesia, and the Dr. didn’t believe me when I told him I could still feel everything) , and they came right back, and stayed. Years later, I saw a dermatologist who told me one of them might actually be gone (he didn’t biopsy to confirm) and that the pain in that area of my foot whenever I put weight on it might just be due to scar tissue from a messy excision by the previous doctor. I’ve kept the pain at bay for years with a combination of Dr. Scholls and Apple Cider Vinegar, but haven’t ever been able to get rid of them. (It seems that as long as I keep them “soft,” they don’t hurt to walk on.) In the past few months, I developed several more warts, 1 on my foot and 2 or 3 on my hands, and I got serious about getting rid of at least the new ones. I used Dr. Scholls for a couple months, without much success (they’d keep growing back), but finally buckled down to a dedicated ACV routine, and started taking lysine. They’ve been gone a couple of weeks now, and though I find myself constantly inspecting my right knuckle, expecting to see signs of regrowth, so far they haven’t returned. I’ve kept up the lysine, and have found that the 2 old warts I’ve had since I was 16, though they haven’t disappeared, are no longer causing me pain to walk on, even without treatment. For the past decade, it has hurt to walk if I’ve gone more than 2 or 3 days without treating them with something – but it’s been a few weeks now that I haven’t been treating them with ACV, and I haven’t had any pain. I have my fingers crossed that my body might be, finally, fighting them off. However – the bit about being susceptible to warts during pregnancy has me dreading ever getting pregnant. I know I’m ALREADY susceptible; I’m afraid I’ll be one big giant wart during pregnancy! For me soaking your foot in salt water got rid of the warts. Would this work for skin tags too? I have this AWFUL one on my nostril that looks like a booger. BLAH. Both Oregano oil and ACV can remove skin tags. I successfully removed a raised mole with ACV. Oregano oil didn’t work on it, but it worked on my husband’s large spread out mole. Thanks, I’ll try the ACV first then – it’s SO much cheaper! What’s the regimen like? Just cover several times daily? Does it need to be good quality or would Heinz be good enough? Yes, any kind of ACV should work (if it’s going to work on your skin). I put it on whenever I thought of it or the cotton under the bandaid dried out. What I did was took cotton put it on the mole and covered it with a bandaid. I ripped part of the bandaid off just above the cotton so then I would just take a dropper and dampen the cotton again without taking off the bandaid. Hope that makes sense. Be prepared that it could turn black/scab. I haven’t done anything with moles, although I thought the clay was diminishing one of mine and then thought I was probably delirious. 😉 Worth a try with the ACV, maybe clay as well! Ditto to the ACV. 7 nights, cotton and a band-aid. They turn black and come right off. I even removed a raised mole with ACV. Just a little FYI, propolis is not the same as Royal Jelly. Propolis is the ‘glue’ that bees use to weatherproof the hive. Royal Jelly is what they feed the queen. If you have a local Bee Guild, you might be able to find propolis from one of the members. Some collect it and sell it. Just make sure they aren’t using chemicals in the hive. I had a wart pop up on my index finger the day after giving birth to my last child. We use therapeutic grade essential ois, so I immediately reached for my oregano oil. I put some on whenever I thought about it and within a few days of that it was gone. Key word is “therapeutic grade” (don’t know if I can say the brand on here!). There is no set industry standard of ‘therapeutic grade’ essential oils. It’s simply a marketing term. After using ACV with some result on my son’s 20+warts, we reached a plateau. Now we are using doTERRA oregano oil, and the progress has been amazing. I think 5 have gone away in about three weeks of treament. The others are much, much smaller. Thanks for the idea! Warts can also be a sign of a zinc deficiency. My daughter took one zinc lozenge per day and all of her warts disappeared. I was very skeptical about this remedy but can’t argue with the results! I wonder if this would work on a cyst. It is right beside my eye and every time I have it removed it comes back within a few weeks. So frustrating!! I used a mixture of coconut oil and finely chopped garlic on my son’s planters wart (Bruce Fife’s recipe from “The Coconut Oil Miracle”). We would spread the mixture on and cover with a band aid, as well as a sock. We applied it at night and in the morning before school. Within a short time, maybe a week or so it was gone for good! Vinager!! Nothing else worked on my daughter but the vinager! And it was painless! You never cease to amaze me, Katie! You learn from every experience, challenge and opportunity thrown your way! And you manage to share what you learned in such a coherent synopsis. I think it is awesome that you found a cure for warts that was natural. Getting them freezed off hurts and is an expensive pain. I’m definitely bookmarking this remedy for future reference! Thank you! My child (age 4) had several plantar warts on his feet, deeply embedded. The medical doctor said there was nothing that could be done for him. It was very rare for a child that little to have a plantar wart, and to have so many of them. It would be too painful to burn or freeze them off. He left me with no remedy and a son with hurting feet. We found our miracle solution in a nano particulate colloidal silver gel that won’t cause heavy metal contamination. I use Silver Shield Gel from Nature’s Sunshine. I cut round cotton “beauty” wipes into 6ths. I put a blob of silver gel on the cotton and placed it on the wart. Then I covered it with a bandaid. I did one application in the AM and one application at night for sleeping. We kept his feet covered with socks during this time. There was obvious change in mere days. The pain was gone in just days too. I kept this 2x a day application going for 2 weeks and there was massive change. When I showed it to the doctor he was quite surprised and could see destruction of the wart tissue. Months later my son’s foot began to hurt again and we could tell the deep wart was returning. This time we repeated the same remedy, 2x a day for a month. Every wart has disappeared and never returned. I use Silver Gel for many skin issues. It’s been a wonder product for our family. Nature’s Sunshine also sells a liquid version that I aspirate into noses that stops colds and ear infections in record time. Nature’s Sunshine is an herbal company. They sell full retail prices on their website, or you can get product much cheaper by becoming a member. Will it work on moles? We haven’t tried it on that yet, but it works great on breakouts, hemorrhoids (another pregnancy woe! ), any type of cut no matter how shallow or deep, canker sores, etc. The liquid Silver Sol by Nature’s Sunshine is also fabulous at curing eye infections. It even helped me kick mastitis after giving birth! The product is a gel so I just blob it on. Of course it won’t last long in the mouth before saliva washes it down eventually, so I’d put a small blob on whenever I’d remember. For me the pain would be gone in a day or two and the sore itself would take a bit longer. We’ve also used the gel on our kids’ tongues or cheeks if they accidentally cut them while eating. Again the pain goes away soon and the wound itself takes a little longer. This product is non-toxic and thus I have no worries about using for our mouth issues. I use baking soda for canker sores. Dab a little on them once or twice/day and keep your mouth open to try to hold it on without saliva washing it away for as long as you can. It will sting, but it usually heals them in a day or two. For canker sores the thing that totally got rid of them was to STOP using toothpaste with SLS in it – I was getting them every few weeks and since I stopped using SLS, I haven’t had one (it’s been about 5 months). He can use powdered cloves wrapped in a wet cotton ball. I have wrapped whole cloves (when I didn’t have powdered ones) in a piece of Bounty paper towel. Bounty doesn’t fall apart or leave lint in your mouth like Scott, etc. You wet the whole wad, after wrapping. Then just place it over the sore(s). Stops the pain almost instantaneously and helps heal them. You do have to put up with the strong taste of clove. My dad used to wet his with Scotch whiskey, so he never complained about the taste. *Note: try to get the cloves at a health food store or Asian grocery store, to make sure the cloves are fresh. Asian stores sell whole cloves by the bottle for about $1, health food stores can cost a lot. If you use the ones from the regular grocery store, use the whole cloves, they keep their oil better and longer. I use a meat tenderizer to crush this kind, then wrap them up. Turmeric (check your spice rack) works wonders too. I too have been plagued by warts (especially when pregnant). They sprung back bigger and more numerous than before whenever the doctor removed them. Medicated wart removals had no effect. My first search into a natural wart removal led me to try turmeric. I wet Qtip, dip it in the turmeric powder (in a special container for wart removal and not for cooking! ), rub over the wart, and cover with a bandaid every night. Your skin might temporarily be stained yellow from the turmeric, sometimes the wart turns black, but every single time the wart has come off and never returned! Wow! Couldn’t be more simple! Love it! When my son had a huge and resistant plantar wart, a worker at the food co-op said to apply Lemon EO neat. It worked, now we are never without it as the locker room is a great place to pick of plantar warts. Thanks for this post! My daughter has a wart on her big toe that I was trying an essential oil blend of equal parts lemon, lavendar and tea tree oil. We never did it twice a day, and I sort of gave up on it. I will have to try some of the ideas on here. As a side note, I did use the blend above on my kids’ molluscums and they did clear right up, though! This is great information! My husband and I have used apple cider vinegar to get rid of warts (although, no plantar warts). It can take a while for larger warts, but it works like a charm. The tea tree oil is a great idea! Several here have said the apple cider vinegar worked for them. I tried that first on my 4-yr-old son’s plantar warts and it ended up removing the skin from his feet and leaving the wart unaffected. Maybe the ACV didn’t work on my young son because his skin is more tender than an adult’s? My comment above shared our be-all end-all solution of Nature’s Sunshine Silver Shield gel. I was successful with ACV on my kids, but it is very important to cut the cotton to the size of the wart, otherwise the healthy skin around the wart will hurt. Plantar warts do come off with ACV, it just takes a bit more time. Wow-I’ve only seen one post mention garlic! We used a thin sliver of garlic to cover my daughters wart on her toe and covered it with a bandaid every night. You only want it big enough to cover the wart, kind of sensitive if it touches your skin. At first it was getting smaller and we forgot to change it and it grew big again. Then we remained consistant, and it went totally away-forgot how long it took, but maybe a couple weeks max! Garlic and vinegar have sooooo many healthy uses! love it! Any thoughts on the combination being dangerous to the skin AROUND the wart? I don’t know about the combination, but I’m sloppy when I put the turmeric on the wart and it usually ends up on the surrounding skin. It’s never caused a problem. Anyone know what works on toenail fungus (a 10-year-old infection and WELL established)? I get discouraged trying different things, because I’ve heard it can take 5 months or more to show signs of a remedy working (because you have to wait for the nail to grow out to see it) and eventually just quit trying. Try the Nail Fungus Soak @ longcreekherbs.com. It worked for me! Again, our old pal ACV comes to the rescue. I had a fungus on my big toe, and I put a small amount of straight ACV (I use raw, so I don’t know if the regular pasteurized would have the same effect) directly on the affected toenail twice a day, and let it airdry. Unfortunately, you have to wait for the fungus to grow off, but it’s nontoxic and effective. And you’ll want to leave nail polish off the nail while treating. I’ve been using raw ACV since the first time I posted here, and I’m not sure what it’s doing, but something is definitely happening. It is white instead of various, um, yicky colors. I haven’t used it the last few days, because my skin was getting raw, but I need to get back at it. I’ve heard of the Long Creek Herbs soak, but haven’t tried it because I haven’t heard of anyone who used it and didn’t know if it would work. On my limited budget, I need to know, ya know? If the ACV doesn’t turn out satisfactory, I may give it a try. I collected these treatments for my, now ex-husband, when he had toenail fungus. Natural methods are as follows and they can be used together. Keep “Vapor Rub” salve by your bedside and apply a small amount to affected toe and toenails before donning socks. Soak toes in a weak solution of water and vinegar for at least half an hour on a nightly basis. This lowers the pH of your toenails so that the fungus can no longer survive. This takes a long time, every night, for three to six months. Use essential oils. Applying a liquid remedy faithfully, both morning and night of every day until the toenails strengthen, is a good way to cure your toenail fungus. Use 100% pure tea-tree oil or use 5% to 10% of pure orange oil (not orange oil cleaner) in a mix of 50% vinegar and 50% rubbing alcohol. Make sure it gets down into the exposed nail bed and under the sides and edges of the nail. I also remember him using green tea foot soaks. Make a big pot, 4 or 5 cups, of strong “Gunpowder Green Tea” (a cheaper green tea that tastes really good). Pout this into a foot bath and add water to cover the nails. Soak for at least 30 minutes. Do this every night. 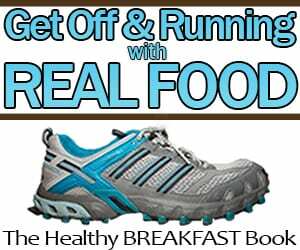 This helped him a lot AND got rid of his foot odor. I think tea is slightly acidic, so maybe all you have to do is change the pH, either way, to stop the fungus from growing. I had a cluster of warts on my little toe that eventually took over most of that toe and the side of the toe next to it, in addition to a plantar wart below my big toe and 4 small warts on the big toe itself. Over the course of 14 YEARS I tried Dr. Scholls, having them frozen, having them cut out, spending over $1000 on laser therapy, ACV, duct tape, soaking and filing them down…and nothing, nothing worked. Ever. So depressing. I wore bandaids on my toe if I wanted to wear sandals because I was so embarrassed. The closest I ever got to getting rid of them was with the laser therapy, but I stopped it when I became pregnant with my second son…and they all came back within 2 weeks. Glad I didn’t waste anymore money on that! I am glad to say, though, that they ARE finally all gone, have been for nearly a year now, with credit actually going to something else you recommend on your blog: Fermented Cod Liver Oil! I started taking it (orally…I know some people recommend rubbing it on the wart, but oh my, can you imagine the smell?) in October of last year. Within 2 weeks, the warts were shrinking. Within 2 months, they were gone. My thought is that my body was probably deficient in Vitamin A or D and by taking the Cod liver oil, my immune system was finally able to fight the virus causing the warts. Woohoo! Just wish I had known 14 years sooner. Sigh. When I was about 8 years old I got the worst case of warts you can imagine. The tips of my thumbs were just covered, wart on wart, disgusting. I had many appointments to freeze and cut the ugly things off and they came back again and again. People don’t realize this can be very painful. Anyways.. my mom had some folk remedies and decided we would try. First I sold her my warts.. she gave me a nickle and said I couldn’t keep them, that I assume was to convince my brain. The second thing was she told me I had to spit on them every morning without fail before I swallowed or drank anything. I was faithful and within two weeks they were completely gone. I believe you have a bit of acid that builds up in your mouth as you sleep, morning breath stuff, and it eats away at the wart….and “WA LA” gone, never to return. So u just rub the banana peel on the wart every night? my son had numerous warts on his hands and feet…duct tape and doctor’s trips to freeze them did nothing…we decided to try healing his immune system by taking good quality multi vitamins (we used mannatech brand-plus and phyto matrix) and added grapefruit seed extract capsules, as it is a natural anti-viral…within two months they had all just faded away after fighting them for two years! Above is from your site, I too have that kind of wart on my ear, been there for some time. I am now trying your suggestion of propolis and purchase where you suggested stating your site. My question is how big of a wart you had and how long did it take you to get rid of it. I seem to feel that my wart is changing in the short time that I have been doing this, but would like to know how long you had to do this type of treatment? I used some of these products off and on for a few months, but when I really decided to be dilligent, it probably took a few weeks, maybe up to 6 for complete success? The nice thing was that there was some progress to be seen pretty quickly, at least that it wasn’t growing anymore. I only saw one mention of coconut oil, but in Bruce Fife’s book Coconut Cures, he says to keep the wart (or whatever kind of growth you have) constantly moistened with the coconut oil. One amazing story in the book is about a person with a quarter-sized cyst on his scalp. He just sat and watched tv for several hours while keeping some CO massaged into the growth with a little pressure. By the end of that time small pores had developed in the growth, and the liquid inside released through the pores and the lump was gone. No sign of an opening. And it never came back. It will work over a longer period of time, but works faster if you stay after it for a little while. I didn’t read thru all the comments but can contribute an absolute solution – probiotics!!! Worked with both of my children (hand and plantar) and a friend’s daughter’s hands that were COVERED in warts for years. We stumbled upon the solution because my friend was taking her children to Nepal for a month and wanted to boost their immune/digestive systems. She kept them on a daily probiotic supplement for 60 days and they disappeared! Fast forward a year later to my own daughter starting to have warts popping up on her hands and we went on the same regimen! They have never reappeared since – its been 2+ years. My warts went away when I was pregnant. I started taking vit d3 5000iu’s, along with fish oil,pnv, low sugar diet, and a healthy diet. My warts disappeared and have never come back. Vit d3!! I had a plantar wart on my right foot when I was 10 years old. It spread and I ended up with cluster warts between my big toe and the next toe where they touched. I also had one in the pad of my thumb. I had them for ten years and tried everything we could think of to get rid of them. One day I woke up and they were gone. Fast forward ten years and two babies later, the plantar wart is back and growing fast. I’ll have to try some of these remedies to see what will work for me. We’ve had excellent success over the years with banana peel under a bandaid! I had more than 20 warts on my foot for many years. It started with 1 wart 10 years ago and it continued to spread more. I tried freeze-off, digging it out and it made it worse. 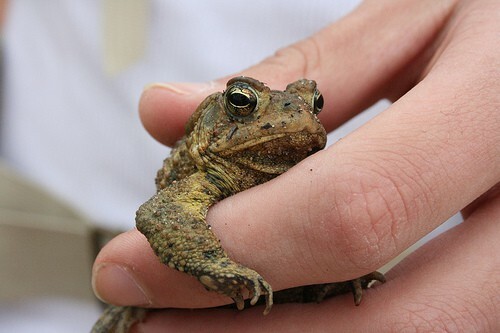 About 3 years ago my brother’s girlfriend (who is a nurse) told me to start peeing on the warts and they would go away in time (I know sounds gross). I was so desperate and finally tried it. About 1 month later, the newest warts disappeared. It really did work!! The only wart that didn’t disappear fast was the first wart that was 8 years old and deeply rooted into my foot. I continued to pee on the old wart for many months and it finally it went away. I have been wart free for more than 2 years. My husband also had warts on his foot & when he seen the warts disappearing, he started doing the same and seen results 2-3 months later. The reason why pee works on the wart is because the acid in your pee eats away at the root (the root of the wart is the main source that needs to be killed). Freezing it only helps the surface and not the root & it also causes the wart to spread more. Trust me; you will not regret the natural way to get rid of warts. Remember the natural way takes time and you will not see results overnight. Keep at it and you will see results. I have a wart on my chin that came up when I was pregnant – I need a quick n cheap remedy to get this off PLEASE! I’ve had great success with the little pads you buy to remove warts on your feet. You put a little dot of the medicated stuff on your wart and then place the pad over it to keep it on. You leave this on for up to three days. Take it off and it will remove part or all of the wart. You can repeat as many times as necessary. Some warts do go away on their own. My son had a couple on his arm and didn’t want us to treat them so we left them and they went away by themselves. I got rid of a wart by applying sayman salve. I just put it on with a bandaide everyday and night. After a few days it started itching and just peeled off within a week. I was amazed especially since I’d had it frozen many many times without sucess. Thank you for a wonderful alternative. I had tried ACV on a plantar on my big toe, but it was too painful. I did duct tape method for a month or so and got it gone that way. Want to help another family member get them gone too, but on neck area. This should work great! Thank you! I have heard of some herbs like Hyperisince Mysorense, Echinacea, Phyllanthus emblica and homeopathic remedies like Nosodes, which are very effective for warts. They improve immunity of a person and thus strengthens the body’s resistant system. Increased intake of vegetables especially Cruciferous vegetables including cabbage, brussels sprouts, kale, broccoli and citrus fruits while minimizing intake of sugars, caffine and refined foods also helps. I use to work at a fish market and you have to handle whole fish. And i would have fish or shrimp fins and whiskers poke me then one day the two or three warts were gone off my hand and never came back. I have a wart on my arm not on my elbow on the other side I’ve been using compound w but it just makes it soft I’m going 2 try apple cider i will tell u if it works. Katie, thanks for sharing your tips! I’m worried about using propolis directly on the skin because it stains. My question is, when you used propolis together with clay, was there any staining after you removed the clay? Also, just to clarify, do you mix the propolis with the clay mixture before applying? Thanks!! Propolis is dark brown in color and very sticky at room temperature and warmer. When it cools, propolis becomes brittle. So I’m surprised that your propolis is clear! Anyway, I certainly hope to find some that works in the same way as yours. These brown stains are unmanageable! Thanks again for the tips. I’m sharing as I have been helped so much by the comments in this thread. After years of getting a few warts on my fingers, they started appearing on my face. On my lips to be be exact. One small one appeared 18 months ago and after picking it off a couple of times, it came back a vengeance this summer. And it brought along a bigger, uglier friend. This spurred me into action as I usually don’t go to the doctors. Still, I somehow felt cryotherapy was not going to work as my I’m quite stubborn and so my body is too! After one useless round of cryo and a sympathetic but equally useless doctor, I found this thread. So I tried ACV for a week but that didn’t work (it was probably the wrong stuff). Duct tape for a week seemed to irritate the warts but didn’t have much effect either. It’s all helped my immune system so I feel better as well being able to fight any virus more effectively. Putting propolis directly on the warts treated them too. They used to sting when I did it so it felt like something was working. So I put off the cryo by cancelling sessions and making excuses. I wanted to give this a chance. After 3 weeks (two weeks ago) the ugly warts started bleeding, scabbing and reducing. Two weeks later (today) they are mostly gone with just a little scarring that will hopefully disappear completely (I have dark skin). I’ll keep up the propolis pills (lower dose) and the green tea long-term. They’re good for you. Fingers crossed it keeps the warts at bay. Now what I didn’t say before is the doctor originally tried to put me off alternative treatments saying that they “weren’t proven” and if not cryo, only salicylic acid was proven to work. I.e. stuff they can prescribe. Google propolis and you’ll find plenty of evidence, quantitative and anecdotal, that can work though. When I saw the doctor today, she was so disapproving and unaccepting despite the evidence in front of her and me telling her what I had found. I only went so maybe she would share the knowledge with other. She won’t. But you could see in her eyes that she knew she was wrong. Anyway, thank you everyone who has contributed to thread so far, and if you’re reading this for the first time I’m sure your natural cure can be found. We’re all different so it might not be the same as mine. Act quickly though and don’t leave it as long as I did. Michael, That is awesome- thanks for sharing your story on this post to encourage others. But bummer about the doctor…typical though.